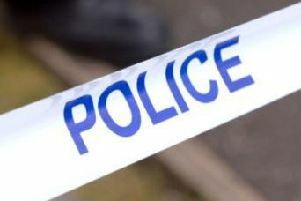 Three men wearing balaclavas stole cash and car keys from a house in St Helens. Police are investigating after a man at a house on Warrington Road was alerted by a security alarm at 7.25pm on Friday, October 14. He went downstairs and saw three men dressed in black clothing and balaclavas in his lounge. It is believed the men may have been armed with a knife. One man demanded money and stole cash, a television and keys to a Vauxhall Astra. The occupant of the house was not injured but was left shaken by the incident. Merseyside Police are appealing for witnesses to come forward to help with their enquiries. Two of the men were described as being approximately 5ft 10ins tall and of medium build. The third man was stocky and spoke with a Liverpool accent. Anyone with information about the aggravated burglary is asked to contact Merseyside Police on 0151 777 6802 or Crimestoppers, anonymously, on 0800 555 111.